Mortal Kombat 11's art director Steve Beran has seen a lot of fatalities, given that he’s worked on the series since the ‘90s. His favourite in the new game involves “bloodsicles,” where the character Skarlet stabs an opponent over and over with spikes made from their own frozen blood. Then she pops an eyeball out the back of their head. In some ways, the Mortal Kombat series’ fatalities are a relic of a bygone era—a blood-spattered artefact of pure ‘90s edginess. The series, however improbably, remains a fixture of the fighting game scene decades later, and fatalities, like everything else, have changed with the times. 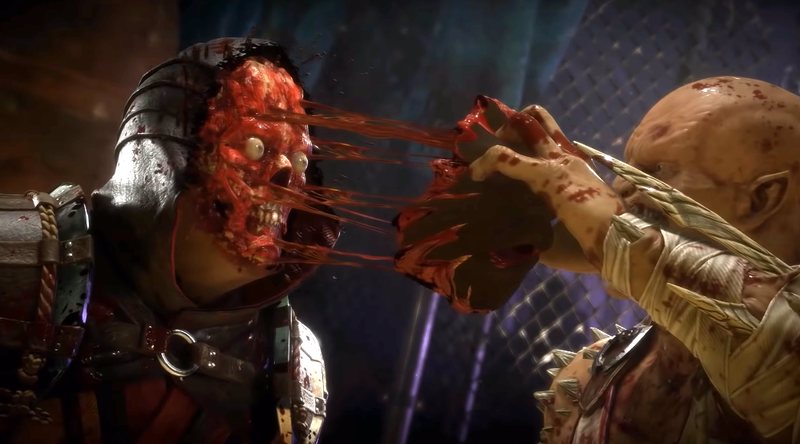 Developer Netherrealm recently threw a big, bloody bash in Los Angeles to debut Mortal Kombat 11, which will be released for PlayStation 4, Nintendo Switch, Xbox One, and PC on April 23. 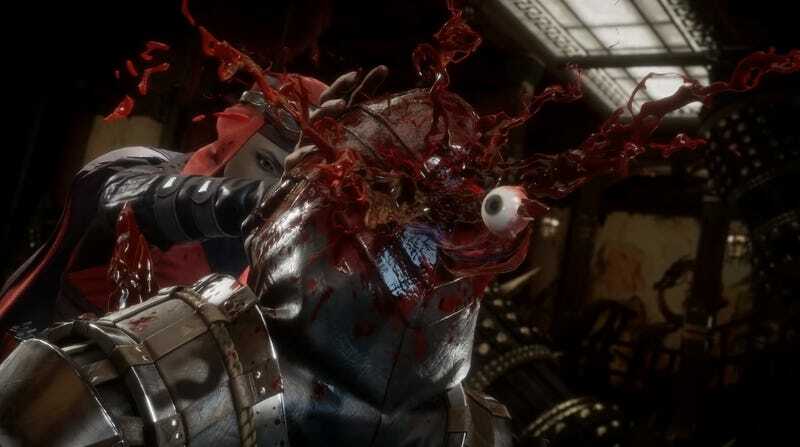 While Netherrealm wanted the event to showcase all of the changes it’s made to this latest version of the game, it was inevitable that MK11's higher-than-ever-fidelity take on viscera-mutilating ultraviolence grabbed everyone’s eyeballs. (Sometimes literally.) I laughed at the sheer ludicrousness of it; others, like Kotaku’s Mike Fahey, understandably had some trouble stomaching it all. Speaking during an interview after the reveal, Beran said that the team’s goal is to keep the fatalities funny—just not too funny. Fatalities come at the end of a match of Mortal Kombat, because it’s hard to keep fighting after you’re dead. In the middle of a Mortal Kombat 11 match, you can also pull off similarly brutal moves called “crushing blows” and “fatal blows.” These also tend to produce bone-crunching, organ-smoothie-making results, which are sometimes amplified by X-ray zoom-in effects to drive the point home. Those force the team to examine ultra-violence in different lights. It’s one thing to put an elaborate, cringe-inducing sequence in which somebody’s skull becomes a cracked bowl for a sloppy helping of brain soup once a match is over. It’s another to risk interrupting a match’s rhythm with one in the middle. Crushing blows, as it turns out, are the development team’s response to that very issue with a similar feature called X-ray blows from 2015's Mortal Kombat X. But fatalities are far from the only thing that the Mortal Kombat team obsesses over. Beran stressed, too, that Mortal Kombat’s art team spends countless hours obsessing over materials, trying to get the details of everything from metal and leather to dirt and glass just right. “Metal looks like metal. Leather looks like leather,” he said. Back in the day, the team pursued realistic detail to set Mortal Kombat apart from more stylised competitors like Street Fighter. Even though the look and feel of Mortal Kombat 11 is very different than, say, Mortal Kombat II the underlying spirit is similar.